A house owned by a private equity fund. It looks like a house I would want to own. In my previous article titled, Locals Priced Out of Buying Homes – Foreign Buying “Skyrockets”, I discussed how speculative foreign money, specifically Chinese money, has driven up real estate prices in many areas of the nation. In this article, I discuss how Wall Street money is having a similar effect. Keep in mind that these buyers do not intend to actually live in these homes. In effect, they have artificially heightened demand, while shrinking supply. This has profoundly and permanently changed the single-family real estate landscape for all of us. Despite no pick-up in homeowner demand and a lackluster economy, prices in 2012 began to rise sharply. Toward the end of 2012, a number of brokers in many areas of the country began noticing something strange. Home prices were starting to rise, and fast—about 20 percent annually. Normally, higher home prices would signal increased demand from homebuyers and indicate that the economy was rebounding. But the home ownership rate was still dropping. The real estate market was out of long-term equilibrium. What many hadn’t realized was that something completely unprecedented was quickly transforming the owner-occupied real estate market. Large private equity firms and real estate investment trusts (REITs) such as Blackstone, Waypoint, Starwood, and American Homes 4 Rent with the funding help of Goldman Sachs, Deutsche Bank, and Morgan Stanley began scooping up tens of thousands of single-family homes. Indeed, many of the investment banks that were helping these private equity firms and REITs had been instrumental in causing the housing bust only a few years prior. These institutional buyers had an uncanny ability to time the 2012 nadir of the housing market cycle. At a time when owners were being foreclosed upon, this deep money paid cash to scoop up large swaths of housing stock at a time when the average person should have also been buying. The banks could not keep up with their foreclosure backlog and were selling many homes for pennies on the dollar. So far to date, these firms have spent about $30 billion to buy more than 200,000 working-class, single-family residential homes. Their initial objective was to capitalize on depressed prices with rental income as their secondary goal. Their time horizon was to last about five years until they disposed of these properties to home buyers. In 2005, there were 10.5 million single-family rental properties. Today there are 17 million. That’s almost a 70 percent increase. We’ve quickly becoming a nation of renters — and not just apartment dwellers. Since the housing crisis, more renters are writing the monthly check for single-family homes and are also writing checks to corporate landlords like Invitation Homes, Colony-Starwood, and American Homes 4 Rent. Between 2012 and 2016, Blackstone acquired almost 50,000 single family homes in thirteen markets including Southern California, Northern California, Seattle, Phoenix, Las Vegas, South Florida, Tampa, Orlando, Jacksonville, Atlanta, Charlotte, Chicago, and Minneapolis for total upfront costs of approximately $9.6 billion. 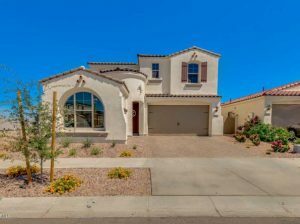 Here is a recent article titled, More homes (a lot more) in the plans for Scottsdale-based rental real estate company, which aptly illustrates the fierce consolidation of the single-family housing sector. The story stated that Colony Starwood Homes announced its plans to acquire a portfolio of 3,106 single-family homes. That is a rise of about 10% in their portfolio count. This means Colony owns at least 30,000 rental houses. Their portfolio of rental houses are located across California and in big cities including Chicago, Atlanta, Tampa, Miami, and Orlando. Back in 2005, there were about 10.5 million single-family rental properties, said Karan Kaul of the Urban Institute. “Today that number is north of 17 million. That’s almost a 70 percent increase.” She says most of the growth has been directed in the single-family market. During the housing crisis, when foreclosures were mounting, investors with cash snapped up tens of thousands of distressed properties in cities like Atlanta, Phoenix and Las Vegas, and converted them to rentals. While actual housing price growth rates have lagged expectations, rents have been rising at a decent clip. What began as a plan to buy and flip became more of a long-term proposition. 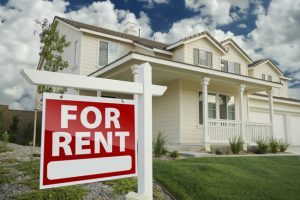 This means that most of the corporations and REITS involved in the single-family market intend to become longer-term landlords. The longer these firms own their properties the more money they will make as their rent roles continue to increase. Rents in the single-family sector continue to rise slowly, despite what the housing bears claim. We must be wary of the housing bears who cherry-pick their data to conform with their confirmation bias. As a Realtor and investor I only observe rent increases in the single-family segment and see no sign that this trend is changing. In fact, in all my years of investing I have never seen a drop in rent rates with respect to any housing segment in the Washington DC area. Total rental units rising much faster than owner-occupied units, we are becoming a sharecropper nation. 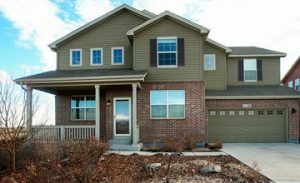 According to this article from Bloomberg, American Homes 4 Rent, a five-year-old real estate investment trust and the biggest of the publicly traded landlords by number of homes, is buying lots and houses around the U.S. Colony Starwood Homes plans to purchase at least 600 just-erected properties over the next year from more than a dozen builders. Privately held AHV Communities LLC is plotting whole neighborhoods for those who want — without the bother of ownership — single-family residences with some apartment-complex bells and whistles, such as fitness centers and bocce-ball courts. Residents don’t even have to mow their lawns. The bet behind the build-to-rent boom is that there are enough people who dream of the detached-house life but can’t afford to buy into it. With tight mortgage standards and rising prices, and millennials putting off marriage and loaded up with student debt, that might not be a long shot. The boom/bust asset cycles are finally tearing us away from our own homes. As long as the economy remains lackluster for the average family and household income growth is subdued, it will be difficult for the average family to afford much of the housing stock that becomes available. We may look at the housing price charts and exclaim we are in a bubble, but between institutional money and foreign funds pouring into the residential single-family housing market, we can be looking at a market that may be out of reach of the average American for many more years – perhaps permanently. In the end, this fulfills a goal of the globalists. Their objective is to make us a nation of debt-slaves, living on a rented debt plantation. I wish I had better news for us. It would be nice to think that home prices will be coming down, but if they do, most people will still not be able to afford them.